Charles Russell Linder, 87, of Carmi, Illinois, formerly of Crossville, Illinois, died Thursday, March 28, 2019, at his home. He was born October 10, 1931, in Mound City, Illinois, the son of Nathan and Ethel (Leet) Linder. He was married to Carolyn J. (Bates) Linder on July 5, 1974, and she survives. 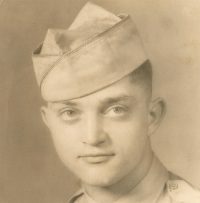 Charles was an Army Master Sergeant and served during the Korean War. He was a member of the Crossville United Methodist Church where he served as a Sunday school teacher and a lay speaker. In his leisure time, he enjoyed gardening, travelling, all kinds of tools and working. Survivors include his wife, Carolyn of Carmi; son Jason (Terra) Linder of Columbia, Missouri; daughter Charlotte Schaefer of Holiday, Florida; step-daughters Elaine (Mike) Musgrave of Evansville, Indiana, Susan (Jim) Renshaw of Carmi; brothers Steve (Pat) Linder of Albion, Illinois, Marvin Linder of Dothan, Alabama; sisters Laura Pratt and Carolyn Johnson, both of Spring Hill, Florida; grandchildren Piper, Parker, Billy, Crystal, Melissa, Misty, Brooke, Jessica, and Alan; and numerous great grandchildren. He is preceded in death by his parents; son Bruce; sisters Martha Ambrose, Donna Haby, Brenda Wolf; brothers John, Carl, Tony, and Bernard. Visitation and funeral are Saturday, March 30, 2019, at Cook Funeral Chapel in Carmi. Visitation is at 9 am and continues to funeral time at 11 am. Burial with military rites will be in Stokes Chapel Cemetery near Crossville. Memphis, TN 38105 or Donate by phone Call 1-800-822-6344 Monday – Friday, between 7 a.m. to 9 p.m. CT.